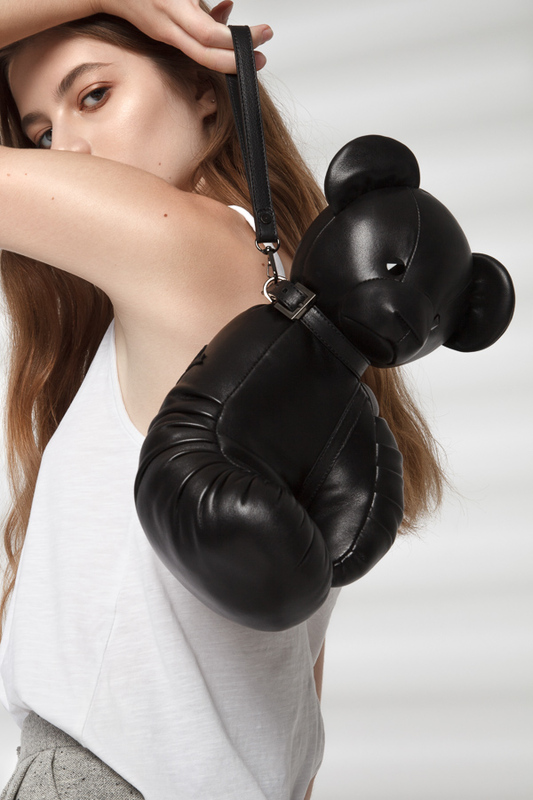 Teddy is a unique handmade leather bag combining designs of a classic boxing glove and a Teddy Bear. Bag features small pocket with a zip for any essentials and a handy collar strap. The statement bag has made a comeback, but amongst the standard, boxy-shaped, candy coloured bags that are flooding the market, Lancy Kimmy’s unusual and light-hearted designs are a breath of fresh air. Designer Marina set out to create a bag that is more than just its function – it is a fashion accessory, an iconic statement piece, and always the centre of attention. The bear, of course! This was a piece that was made to be talked about, but you might be surprised at the superior quality and innovative design that went into making this little bear functional too.